Wild card craft cost reduced. 01/14/2017 12:35 AMPosted by jeroen64897i em of course not a blizzard employee, but i hope that this will be implemented so that wild cards will not be forgotten en will be continually played.English, use more of it. Sadly, no. Lots of people complain about getting free stuff. Return of the Hero - Uninstalling. Again. Oh noez! I had to get free stuff!! Woe is me!!! Except for the Starter Bundle, I've never bought packs. I get more enjoyment out of doing the quests, getting the gold and opening a pack every few days. Buying a whole wad of packs at once and then opening them would just be a huge chore.Buy six boxes of Fallen Empires for M:TG cured me of large pack purchases for good. 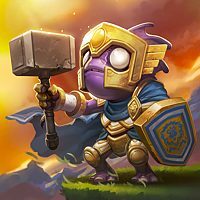 Can we get banned for using HS booster sites? 12/11/2016 05:18 AMPosted by GundumbwingYour basically standing next to a river and paying a guy to point you in the direction of the nearest water source.And giving your account login information and credit card numbers to somebody who has already demonstrated they have no scruples. What could possibly go wrong? I'll have to disagree with your wish #3. I don't really want them to add more deck slots. What I really want is the ability to quickly and easily import and export deck lists from your computer. That way you have a number of decks, effectively limited only by your hard disk size.Otherwise sounds good, but the biggest limiting factor on UI changes is that they want to maintain the PC and mobile interfaces as close as possible. They didn't have a Hearthstone Christmas sale last year. Is Wild Format Frowned Upon? Frowned upon? What, you mean like the cool kids only play Standard mode? 12/06/2016 04:32 AMPosted by Guinevere12/06/2016 03:45 AMPosted by guilty...it is spam.no matter how u wanna color it "screwed over the majority of the world"you have some serious issues manI don't agree with the flooding, but also understand the person who does it, i couldn't get Tyrande and i'm pretty pissed because of it.And the person has a point: all Latin America, all Asia, all Oceania, all Eastern Europe and a good part ot Europe (the regions screwed by Blizzard) indeed are the 'majorityy of the world'But nowhere near the majority of the players of Hearthstone. 12/02/2016 05:55 AMPosted by CaonimaYou can ask blizz to take away the pack quest to give you back the gold quest. I don't get it, you get more out of the new quest, what do you want?I want to chose the quest that gets lost. Or, you know, not get the new quest until I complete one of the others.